People love to rant, rave and vent on Facebook. They figure it’s the best place to have a “convo” with like minded people. But what if your political, religious and overall dreariness is just bumming people out? Have you ever considered that that your multiple posts about how broke you are or how much you disagree with politicians or your posts about insignificant things that people may not really care, could alienate you from your actual friends. Well if you’re guilty of any of those things, chances are people are not following you or simply deleted you from their feed. There are many people who enjoy the occasional banter back and forth with friends online about topics. The problem with this is when you’re doing this all day long, everyday of the week, it can get overwhelming to your followers/friends. So you need to find a balance on how you “vent” about topics. Perhaps getting a Twitter account and posting your thoughts there. It’s a bit more anonymous than Facebook, plus you get to let it all out as long as its under their word count restrictions. Another idea is to just say things out loud before you go on Facebook. Give it a try, here let me give you an example, “I really don’t like Democrats/Republicans!” See, it’s that simple. You get it off your chest and you aren’t finding yourself in a middle of an online fight with a person you are going to see at Church on Sunday. One thing you may not have thought about, the things you post on Facebook can be seen by people. I know you’re thinking, “but I set my profile to private!” Eh…you might be surprised that you’re not as private as you think. All someone has to do to see some of your status updates and photos is Friend a Friend. Make sense? Your privacy settings is limited because you’re allowing only your “friends” to see it, right? 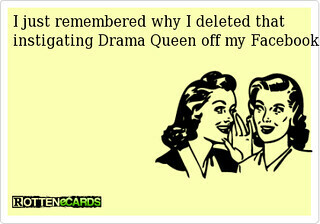 But if your friend likes or comments on your status/photo, then their friends will see that they’ve done so. Which opens up your “private” status updates/photos. In conclusion, just be careful of what you post on Facebook. It may not occur to you that people don’t like you anymore because of what you’re doing on Facebook. One day you’ll find out that you’re trying to tag a friend in a post/photo, but you can’t because they’ve already deleted you from their friends list. 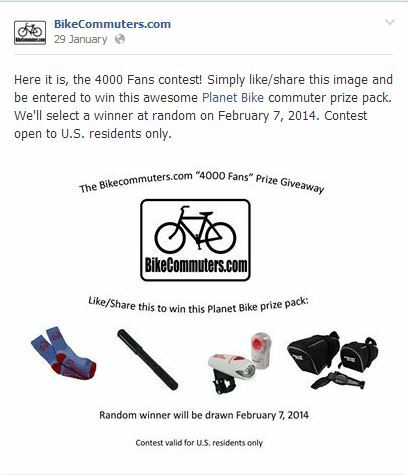 Over at BikeCommuters.com and MtnBikeRiders.com we’ve held a number of online contests over the years. What this does is help build a new fan base for the sites and for the sponsor who is donating your prize packages. We’ve often worked with Planet Bike in which they’ve donated thousands of dollars worth of goods over the years for our prize packages. What do I mean by “new” fan base? Well the best way to do that is through Facebook. Just recently we had a content for our “4000 Likes” give away. Basically Planet Bike donated a bunch of goods to the winner of the contest. The premise is we gave our fans a few weeks to hit Like and Share the post. We even published it on the main site, BikeCommuters.com. Over the weeks we saw a spike of new likes in our fanpage. Now these are people who probably would have never hit LIKE on the fanpage before. But because we used a contest, their friends shared the info, so the friends on their feed saw it, then hit like themselves. Free advertising, it’s sorta like Word by Mouth. But this time it’s word by LIKE. Contests don’t have to be extravagant, sometimes it’s a matter of giving away stickers or even a small item like a t-shirt can spark some new fans for your brand. Ever heard of that term before? Well let me explain this the easiest way I can. Take for example your company has been reviewed or blogged about in a negative way. There’s some folks that just aren’t too happy with the product or service you have. There’s a few ways to fix this. Here’s the first one. Fix it. If someone wrote a bad review about you on Yelp or some blog, reach out to that person and see what you can do to make amends. But don’t do so expecting them to remove the bad review, just do it because you want to make things right. For the most part once you’ve basically said “sorry” and convert that person from being a Hater to a Fan, then you’ll end up having an advocate for your brand. They’ll post another review stating how you made things better or in some cases, they’ll tell their friends about it. The other option is to combat those negative reviews with content. You can hire us to create content and publish it on a daily basis. Our content is fresh, written by a human and it always makes sense. The problem with some foreign content writers is that their English is really poor. Some of the stuff they generate doesn’t even make sense. But we’re not just about writing content. When we publish our work about your company/brand, we’ll provide you screen shots and links to all of the articles we’ve launched. That way you can track what’s been going on with your brand. The idea is we publish a ton of content to rank on the first page in hopes that it pushes down some of the negative content about your brand to page 2 and up. If this is something you might be interested in, give us a call and we’ll talk you through our service. Let’s say you have a blog and you only update it once in a while. Some employees who oversee that part of the business may feel like they have nothing to talk about thus the blog doesn’t get updated. But what if I told you that when you publish an article you’re letting search engines know that you’ve got something new. Now imagine that happening a few times a day! That’s one of the things we specialize in at RLPolicar.com. We’re known to publish up to 200 articles per week for the clients we work with. We also make sure that it’s on different blog platforms too. For example, we’ll use two different platforms, one article is on Blogger and another on WordPress. By publishing on two different platforms, you’re letting search engines know that there’s new content in two different places. Which is a good thing especially if your blogs talk about your company/product or services. When people ask me how often should they be blogging, I tell them “as often as you can.” Meaning as much as you can in one day. But you have to do it EVERYDAY to get the best impact. I’ve worked with companies where all they want is 1-2 articles per month, in all honesty that won’t be as effective as 1-2 per day. Basically, the more articles, the better. Search engines love fresh content and by publishing new articles per day, the more popular you are on the results. Start with the person who is in charge of your online business. Is this person innovative, creative and always looking for ways to grow your brand? Does this person see the power and potential with Social Media? If you answered NO to any of those, then you need a new person to oversee your online business. The problem with someone who doesn’t believe in social media or isn’t creative is that they tend to be stagnant. They don’t want to do anything different and they think that growing your online business is a matter of just getting visitors to your site. Yes it’s true visitors do become customers but having a closed mind on how to get them there is a financial danger you don’t want to mess with. Take this situation I was in a few months ago. I met with an online company who wanted to grow their revenue and online presence. As the Online Marketing Director and I spoke I learned that she doesn’t like social media and can’t see how it would generate into income. I was a bit shocked to hear that the Online Marketing Director would be so opposed to social media. I sat there trying to explain to her the powers and potential of what social media can do for their business. I left her office scratching my head wondering how this person got to be the Director of Online Marketing when she wasn’t a fan of social media. A bit of advice to those who have some sort of online brand, make sure that the person is oversees your online marketing effort is passionate about social media. Would you trust your cousin’s roomate’s bestfriend’s brother in-law’s, uncle to remodel your kitchen or work on your car? If the answer is NO, then why trust your employees to run your social media, blogging and email marketing campaigns? Though having your employees take care of your Social Media efforts might make sense. But all that will mean is you’re adding to their plate, take focus away from what they were hired to do and truthfully, some just don’t understand how all that works. They think a simple tweet or status update is enough. Nope, you will need a game plan, a schedule and even promotions to flow through your social media effort. A while back I had a friend who was interested in “branding” his new found business idea. Keyword is IDEA. He wanted to sell products to a certain clientele. But he hadn’t lined up his vendors, website and products. But he already wanted to come up with all sorts of marketing collateral such as shirts, stickers and even signs to help gain some exposure for his brand. 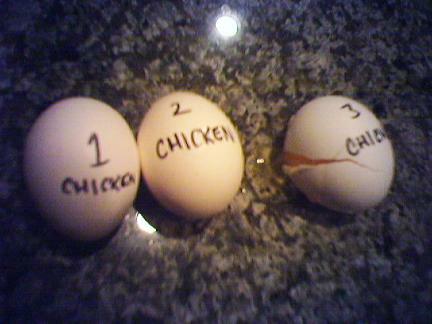 But when I heard this, one thing came to mind…don’t count your chickens before they hatch. Though I completely understand what he’s trying to do, but I tried to explain to him that there’s stuff he can do that won’t actually cost money. I told him about Blogging and Social Media, but he just couldn’t see the vision for it because he was too focused on wanting to get stuff to pass out to people. You see, if you start blogging you’re basically building a buzz about your product, services and company. Besides it’s free and it has the best return for your work. If you have good content on your site, search engines will find you and that means when someone is Googling a product or service you offer, your chances of getting found online goes up. Don’t get me wrong, I think branding is great, but it’s better when you have already established yourself as a company. Besides, all that branding stuff isn’t cheap, shirts can cost as much as $8 a piece with a minimum order of 100. So all that adds up. My suggestion is after you start making sales and have replenished your overhead, any surplus you have can go towards branding. What’s the best way to get more readers to my blog? I recently had a friend ask me that question above since she just started a blog. There’s so many ways to answer it. But in my opinion, fresh content is the best way to get more readers on your blog. What do I mean by FRESH CONTENT? Basically it means articles and more articles. If your blog is all about cats and kittens, then make sure you publishing out as many cat/kitten articles as often as you can. Oh but there’s a catch to all that. The content you push out has to be substantial, meaning it has to have some sort of value to your readers. That way you’ll retain them as a reader and they keep coming back to see what new stuff you’ve posted. Just think of it for a minute. You find a great blog, you follow it, but the Author doesn’t regularly update it. Maybe they’ll update once or twice a month. 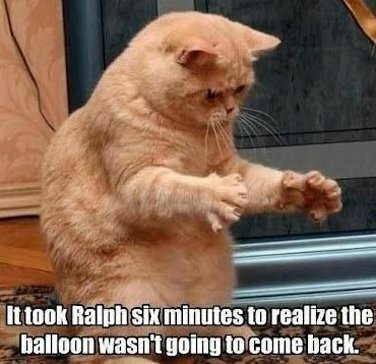 What eventually happens is you stop going back to the site and you forget. Well…do you want your readers to forget about you? No? Then make sure you have good articles that keeps them engaged and coming back! A few years ago there was a blog that I followed because I loved how he wrote. He was funny, witty and his style was so unique. Then something happened, he just stopped writing. Eventually his blog failed to exist! I was actually pretty bummed out because I felt the guy had some great stuff. So if you didn’t what I’m trying to say, post articles. Preferably your own and not some sort of regurgitated news that other blogs have already posted.